welcome appearance in the second half. well in a live setting but the production style doesn't suit solo listening. 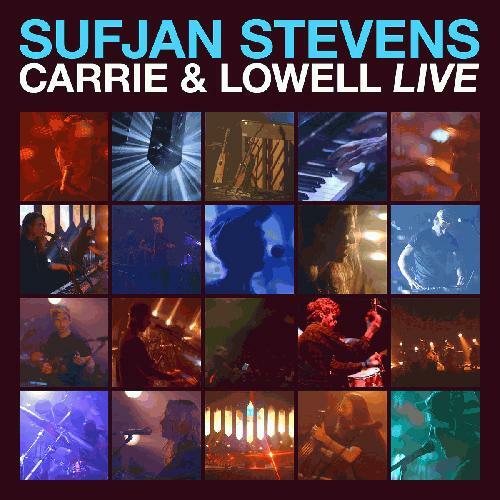 Beautiful and creative re-imagined live performances of the already amazing tracks from Sufjan's masterpiece. Quite an unfortunate album name.rOk, jokes aside, this is a really special live album, most live albums are a nice bonus for the enthusiasts, but they are rarely essential. They get high ratings mainly because they are primarily rated by the fans of an artist. This one is however something different, Sufjan puts a new spin on every track here and in all cases the new version is superior to the studio one, the major highlights here are Fourth of July with its wonderful outro, Drawn to the Blood with added electronic beat and Blue Bucket of Gold, which is stretched to incredible 18 minutes.rAnd the cover of Hotline Bling is a nice bonus too, it might seem awkward and out of place, but it just works somehow.rThat doesn't make the original album obsolete though, in fact this live album made me appreciate it even more. monumental, and it's essential - just like the record itself.